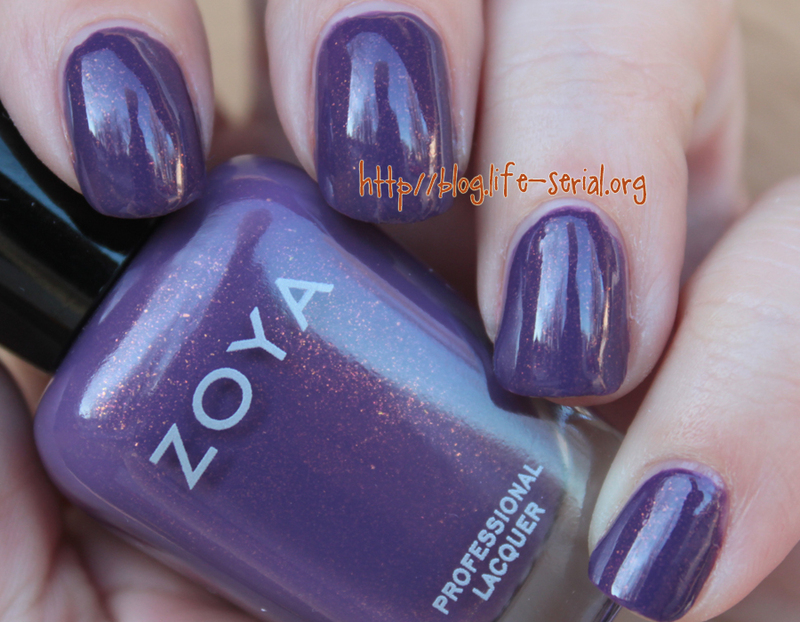 The one with Zoya Tru! Another morning! Not gonna lie, some mornings I just wanna crawl back in bed! I'm not really a morning person. But I do wake up quickly. The hubs, on the otherhand, is not. It takes him a good two hours to wake up. And that's after he sleeps in. aye aye aye. Today's post features another of the Zoya True Collection, Tru! Described on Zoya's website as "a saturated, red-toned grape purple with speckled shimmer that reflects gold, orange and red. Bold and saturated warm color made even more interesting with color-shifting shimmer." 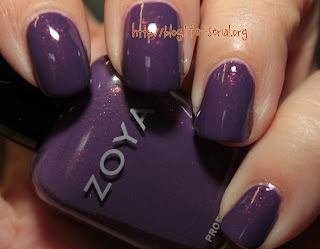 Tru is much brighter and more flashy than it's purple True Collection counterpart Zoya Lotus. I love the flashiness. This is a gorgeous color - and would compliment many skintones. The formula was excellent, and flowed on the nail like butter. Two coats to opaque, and that's what's pictured.